Christmas has not yet begun, but Thejoyofplants.co.uk is ready for "Christmas tree out, Houseplant in"
Many people might not know this, but even around the Christmas tree, some etiquette exists. Traditionally in the UK, real trees are usually cleared between 9 - 13 January (but it's worth checking with the local council). But what do you do with the empty space left behind by your Christmas tree? 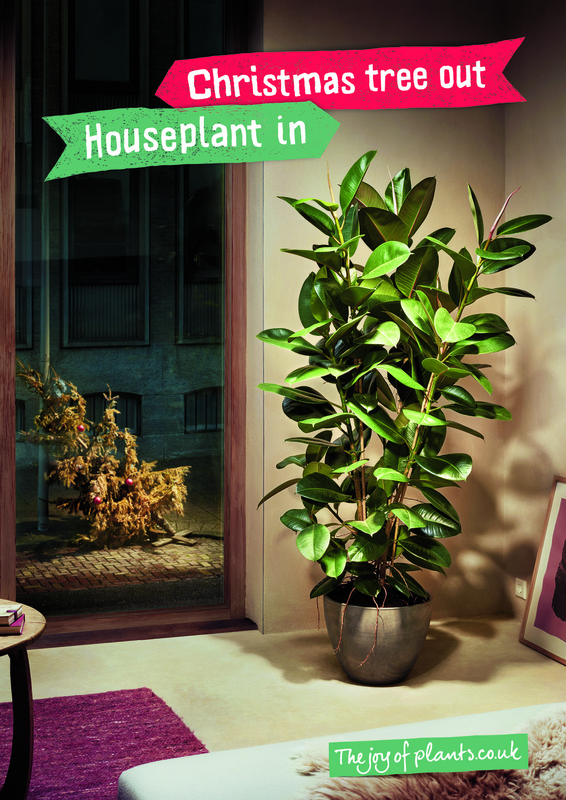 The solution is very simple: fill the void with a nice big houseplant. A houseplant is the perfect replacement for your Christmas tree, and a sure way to start the New Year off on a green note! We have posters available to use to communicate this message to your customers -see below for download. We will be communicating this message to consumers on Thejoyofplants.co.uk, Facebook, Twitter, Instagram and Pinterest.